Story by Noel Thomas. Photo by Christian Outten. Woodridge Eagle Bots participated in Friendship’s 5th Annual First Lego League Regional Competition. It is their way of kicking off the Robotics season by having all of the schools participate. 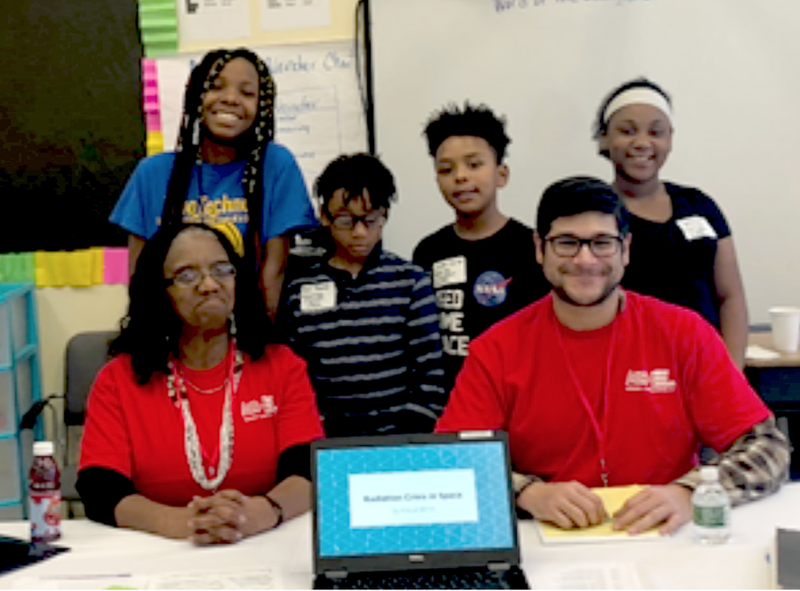 The Woodridge team presented a solution-oriented presentation called “The Radiation Crisis in Space.” This project helped us to find out the many contributions of the deep-space radiation environment. A better understanding of the sun’s modulation of this radiation environment will allow mission planners to make better decisions for a future Mars mission. We also learned that waves or subatomic particles transport energy to another entity, whether it is an astronaut or spacecraft component. Learning all of these things helped us make our project special. Everyone was super engaged and excited to share their creation. This league helps students to be science and technology leaders by working on engineering skills. The Eagle Bots’ self-confidence soared like eagles as the team was able to talk about our work to the judges. Through our dedication and hard work we were able to receive 1st place in the Division I Project Category. Noel Thomas and Christian Outten are 4th grade scholars at Friendship Woodridge International School.